Liza tweeted the K-pop star, "I'm your hope, you're my hope." She might be one of the biggest celebrities in the country, but Liza Soberano also fangirls over other stars. 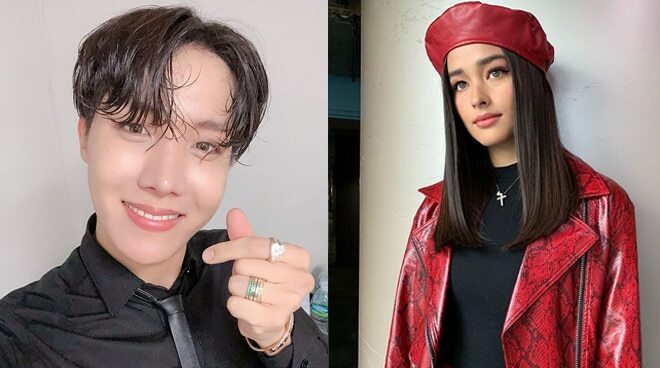 Just recently, Liza Soberano fangirled over BTS member J-Hope. The actress tweeted the K-pop star, "I'm your hope, you're my hope." Fellow BTS fans were amused over Liza's tweet. They also gladly welcomed the actress to the BTS army. BTS is a seven-member Korean boy band whose success cross borders and boundaries around the world. The band is the first Korean Act To Receive RIAA Album Certification for their album "With 'Love Yourself: Answer."